The Finer Detail opened in January 2009 as a specialist bridesmaid retailer. We now have the largest display of bridesmaid and flowergirl dresses available to view in our bright and spacious studio. We have over 250 styles to choose from all of which are available in a wide range of colours. We are a family business and have become renowned for our level of customer service reaching the finals of the VOWS Awards, The Scottish Confetti Awards and The Scottish Wedding Awards. 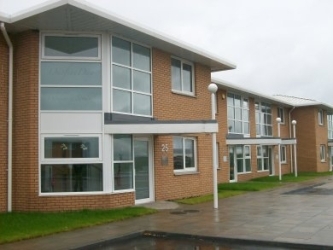 The studio, situated about 2 minutes off Junction 11 of the M8 motorway, has excellent accessibility from Glasgow, Lanarkshire, Central Scotland and Edinburgh and free parking.